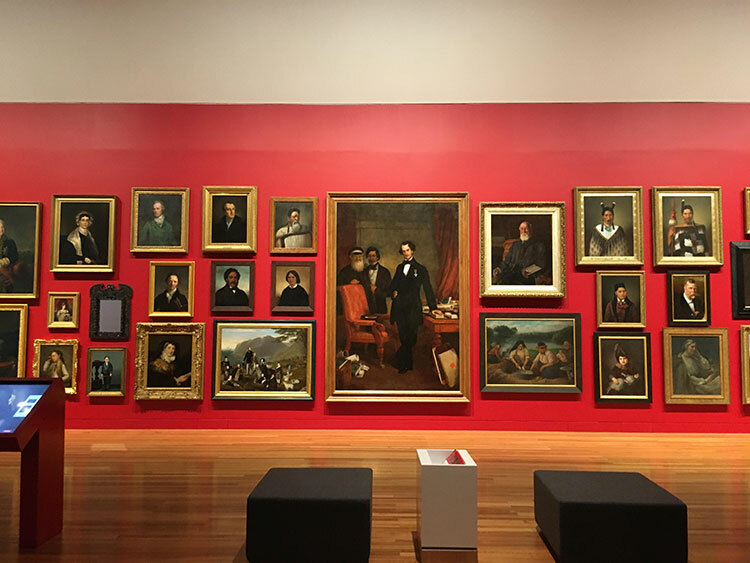 Student Natashka Wiszniewska spent time wandering through Museum of New Zealand Te Papa Tongarewa’s new art gallery, Toi Art, and discovered that whether you’re an art buff or a gallery novice, the museum’s new gallery has something for everyone. After months of being closed for renovations, Te Papa’s dedicated gallery section has reopened as Toi Art. Desperate for a curated selection of art, the gallery’s return has been eagerly awaited, and according to Te Papa guide Rangimoana Taylor, since the reopening people haven’t stopped flooding in. 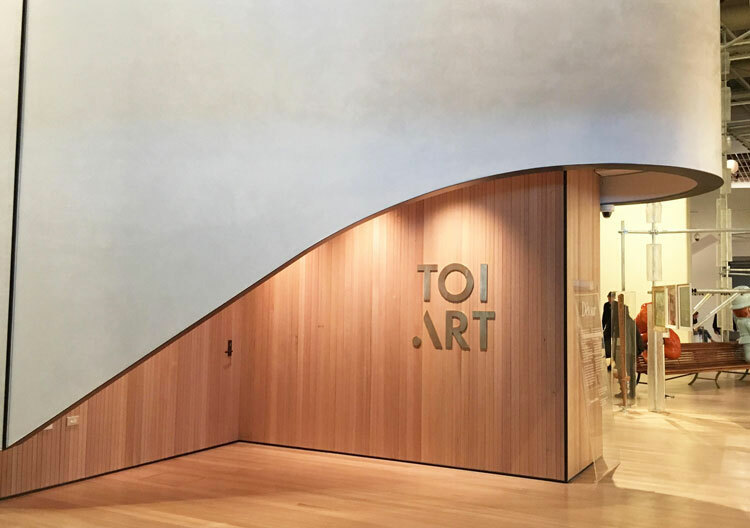 Located across levels four and five of the museum, Toi Art is extremely generous in the space that it presents, and with the gallery spanning two whole floors, you’ll definitely want to set aside a few hours, or multiple visits, to experience it fully. Talking with Rangimoana, on average, people spend two to three hours in the gallery, and he recommends that people take their time as the curators have “tried to cover a lot”. Portraits from Tūrangawaewae: Art and New Zealand, part of Toi Art at Te Papa. Whilst spending hours in a gallery might sound daunting to those without a background in art, I’m assured by Rangimoana that one isn’t needed in order to enjoy this space. And it’s not hard to see why this space is something people get very enthusiastic about. With thousands of visitors every weekend, there really is something for everyone. Whether it’s Michael Parekowhai’s Détour or Pacific Sisters: Fashion Activists, no matter your taste or level of interest in art, there will be something to excite and inspire you. Walking through the gallery for the first time since its reopening, the space was almost unrecognisable—the ceilings seemed higher and everything was bigger. The art displayed was larger than before, and there was the sense that ‘bigger and better’ was the motto for this new space—this is undoubtedly a space you can get lost in. Piece from Kaleidoscope: Abstract Aotearoa, part of Toi Art at Te Papa. One helpful piece of advice for visitors is to look up as you walk around, to avoid missing out on some very special pieces of art, namely the giant elephant on level four. Make sure to check around every corner, as the gallery is filled with surprises and pieces that you don’t want to miss out on. This is also an accessible space for everyone, with wheelchair access via the lifts, and helpful Te Papa staff on hand to help with accessibility needs. Toi Art provides a space for people from all over the world to visit and to see their culture and values represented across the exhibition. 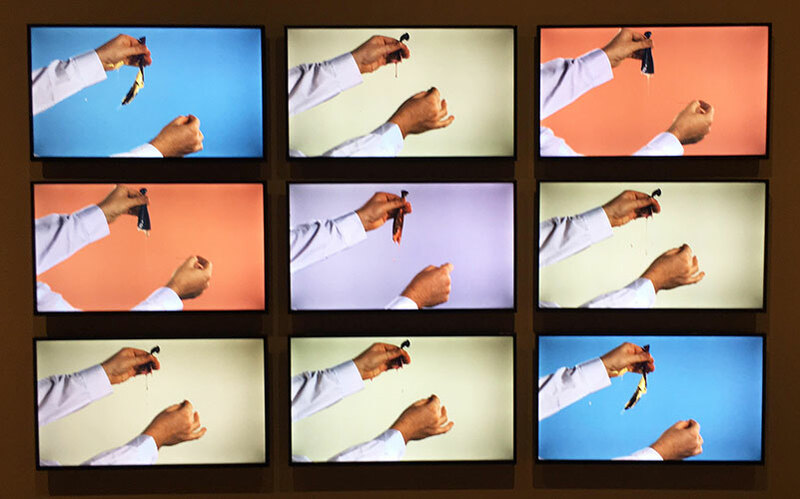 The gallery also displays New Zealand culture at its finest, and showcases the multiplicity of cultures that make up the country that we live in. While the future of our art remains unknown, Toi Art shows where we are today and where we were.